The MS Word DOCX File Repair Tool is an advanced algorithm designed to remove any and all errors fro a Word document. It can retrieve lost, deleted or missing data with 100% accuracy. There are no changes made even to the formatting or the styling of the Word document. The DOCX recovery software analyses and verifies file structure before fixing corrupt DOCX files. The damage can be from an infection caused by a virus, trojan or a malware. It can also be caused by some damage to the coding in which the file was saved. The Microsoft Office DOCX Repair can remove any kind of major issue with the Word document. It allows a user to save recovered data and images separately in a healthy format. The Office DOCX Repair software built to work on a corrupt/damaged/infected Document(X) file and repair it for corruption free word .docx. This works with all latest versions of Windows 10/8.1 /8/7/XP or Vista for both 32 and 64-bit machines. The code is designed to remove all errors from multiple pages of a file. 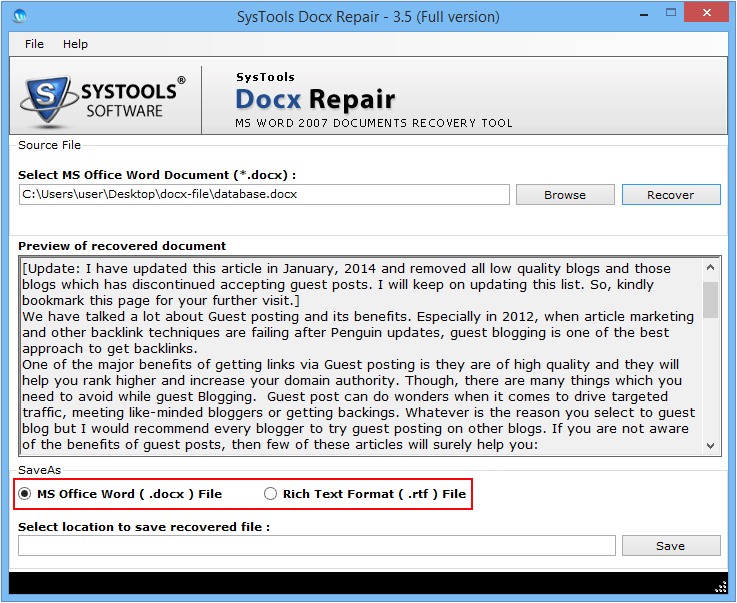 The advanced word .docx file repair tool can get back any data lost or missing due to some issue. It displays the entire text and displays it for the user to see. It is up to the user to save the extracted document anywhere on the system. The healthy file can be recovered easily using this application. There are two ways to save the healthy output using this Advanced Word Repair DOCX tool. One is to extract and store text in MS Office DOCX format and the other is the RTF format. The images are stored separately in a different folder. The algorithm works with any of the Word 2007, 2010, 2013 and 2016 versions. The .docx repair software makes sure that there are no changes in the output format. Even the styling like bold, font family, hyperlinks remain the same. Data integrity is maintained while recovering crucial information. There is no need to have Office installed on the Windows PC to use this tool. The algorithm is designed to be used by any regular user with no technical expertise. It has simple features which can be accessed from a single panel. The word document repair docx has an easy-to-use interface. It can restore data from all the pages from a Word document with just click of a few buttons. 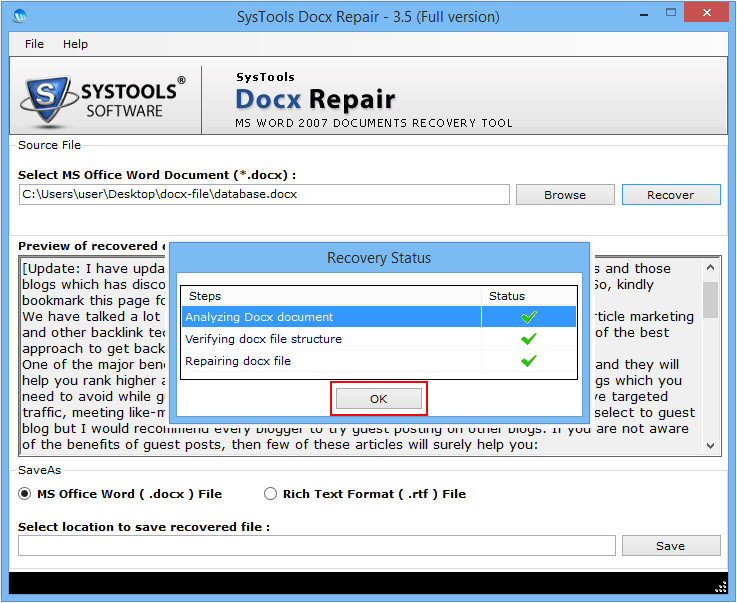 Trial Version of DOCX Recovery Software only previews the recovered data. 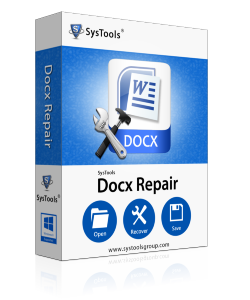 Download demo of DOCX Repair Tool Immediately for Free!!!! Note:To export and use the recovered database must go with license version of the tool. ‘Windows can't find .docx file’: This error message is encountered when an individual tries to directly open a DOCX file directly from attachment. It is caused by incompatible Office packs. It enables a user to download a document in order to read it. ‘The file abc.docx cannot be opened because there are problems with the contents’: There may be some kind of corruption or damage to the file. 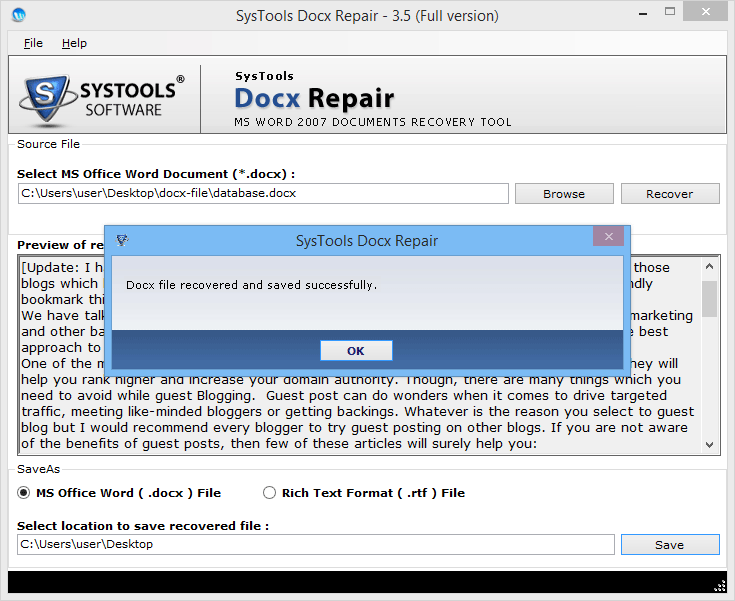 In this case, one can benefit from using DOCX File Repair tool to retrieve important data. 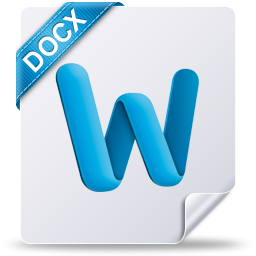 ‘Word cannot open the file because the file format does not match the file extension’: This can happen if the extension of a .doc file is changed to .docx. In opening the file in on Word 2010 and later versions, this error is generated. ‘This file is not in a recognizable format.’: This indicates data corruption in the sector/partition/drive or system where the file is saved. It can be resolved using the DOCX Recovery program. Microsoft Office Access has encountered a problem and needs to close. We are sorry for the inconvenience. How MS Office DOCX Recovery Tool removes errors from corrupt DOCX files? 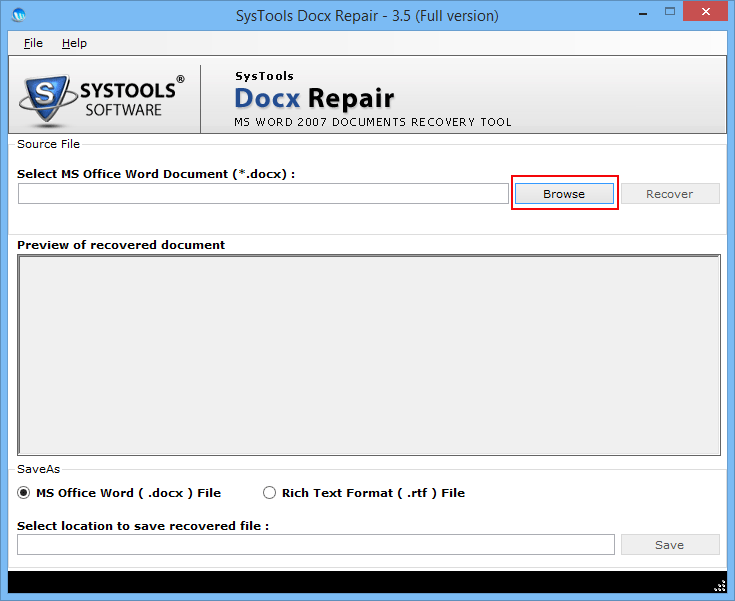 First, download and install the DOCX File Recovery utility. Then, add the .docx document having errors. Next, select the ‘Save As’ type between DOCX and RTF format. Then, set a location to where the output file will be saved. Finally, click on ‘Recovery’ button to remove Word file errors. Can the application work on Windows Server 2008 machine? Yes, the product is compatible with Windows server machine 2008 and 2012 version. Can the utility remove error ‘This file is corrupt and cannot be opened’ in Word 2010? Yes, the DOCX File Recovery tool is built to remove any kind of error including this one. What is the difference between the full and the free version of this product? With the free version of MS Office DOCX Repair Tool, one can preview extracted data. To save a healthy file in DOCX/RTF format, the full version is needed. Is Word 2007 installation required to use this application? Yes, Word installation is necessary for using this product. It can be of any version 2007 and later one. What is the maximum file size limitation to use the DOCX Repair tool? There is no file size limitation implemented by the software of any kind. Upload and fix a document of any size with any number of pages.